Xiamen Dachuan Zhen Fu Food Co., Ltd. was founded in 1993, with two major production bases: Zhen Fu (Fujian) juice Food Co., Ltd. and Dachuan Food Industry Co., Ltd., Zhangpu county. Our industrial raw materials are supplied by 7 of the top ten global food products (Coca-Cola, Unilever, Nestle, general mill, KFC, McDonald's, Heinz). Specializes in processing tropical and subtropical fruit and vegetable concentrated juice and various kinds of fruits and vegetables. It is the only manufacturer of tropical fruit juice concentrate made from T.A.S.T.E in southern China, GONG. 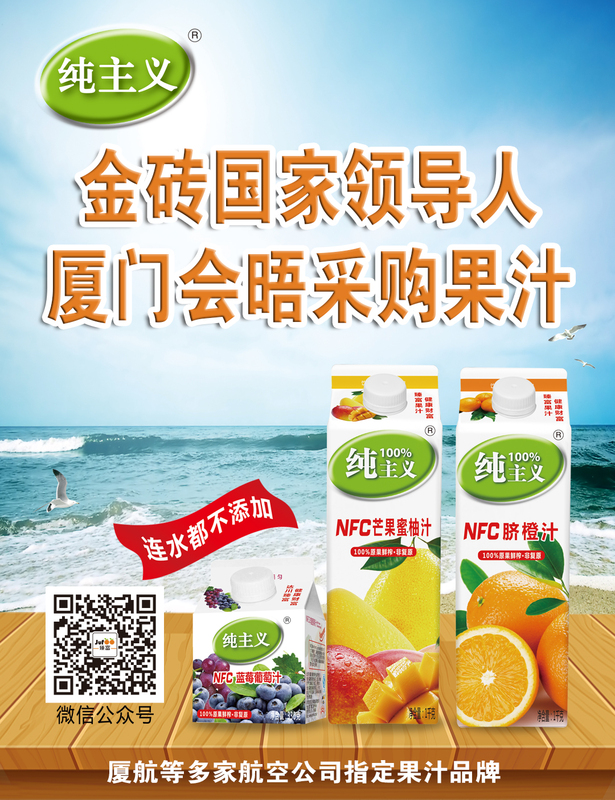 China's concentrated recovery 100% juice promises to "do not add thickeners", which requires our company to use the best concentrated juice raw material and have to use a full amount of 100%.